The fixtures for the first double elimination group games at the Betway British Basketball All-Stars Championship have been announced. Beaten BBL Play-Offs finalists Newcastle Eagles return to The O2 and take on Bristol Flyers in the second group stage fixture, before Glasgow Rocks take on the Lions. The final pre-determined group game sees Worcester Wolves up against Sheffield Sharks. The ?rst round of the Betway British Basketball All-Stars Championship is a double elimination group stage comprising a total of ten matches, with the subsequent six fixtures determined by the outcome of the first four. Two straight wins will qualify a team for the semi-finals while two straight defeats will spell elimination. The ?nal set of matches in the group will feature teams with one win and one defeat competing to stay in the competition. Fixtures for the semi-finals will be drawn shortly after the conclusion of the group stage. The Betway British Basketball All-Stars Championship introduces some exciting new innovations as the top eight BBL teams compete for a record-breaking £100,000 prize fund. Matches are just 12 minutes long with a 20-second shot clock while an all-Star 5-point line offers rewards for those willing to brave a shot from distance. Teams will also have a two-minute Power Play at their disposal, during which any points will be doubled, and Lions captain Ikhinmwin believes that could prove pivotal. “It will be really exciting, really fun with a brand-new format,” said Ikhinmwin. “All the best tournaments happen at The O2 and it is a great way to start the season. “It’s a chance to shine a spotlight on British basketball in a different way. It is a 12-minute game, with rolling substitutions. It will be about who has momentum in the games, especially with the ability to hit the powerplay and have double points. 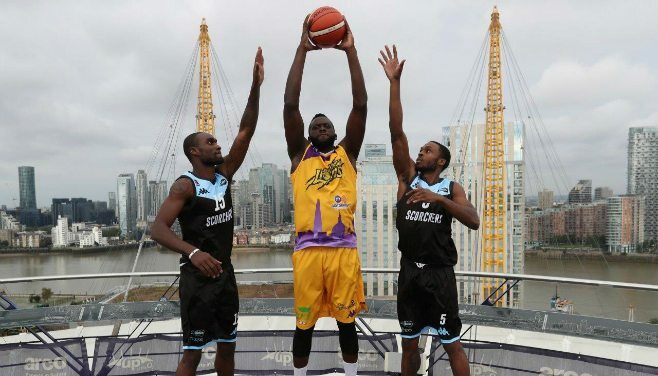 Tickets for the Betway British Basketball All-Stars Championship are available now from www.theo2.co.uk and start from just £20 with group tickets available priced from £60 for four adults.